Stone Sports Management congratulates Jacksonville Armada goalkeeper Caleb Patterson-Sewell on his NASL Team of the Week (Fall Week 1) selection and his third recognition in 2017, after his Spring Season Week 4 and Week 9 honors. Caleb faced the most shots so far this year and was up to the task making a season-high 7 saves (including several "acrobatic saves") in a 1-1 draw and lowered his Goals Against Average to 0.83 which is just .01 off the lead. Not only was it the Armada’s first game in the fall season, but the debut of the Armada’s new ownership. Florida native Robert Palmer of RP Funding and Homevalue.com purchased the Armada from the NASL and has already made a mark on the teams marketing. Caleb’s performance, which can be seen below, were seen on 986 TV spots resulting in 10.2 million TV impressions, which was three times as many viewers compared to the last time they played the Deltas and greater than MLS viewing in the same market. Under new ownership and dawning newly sponsored jerseys, Caleb rose to the occasion and built on his Spring Season success, leading NASL starting goalkeepers in passes completed (389) and long pass percentage (51.8%) while having the third best Save to Shot ratio (72.7%). The 6' 3" goalkeeper also logged 6 clean sheets and led the league in punches (9). SSM wishes Caleb and the Armada well for the rest of the NASL Fall Season. Check out Caleb’s 2017 NASL Spring Season highlights below and make sure to follow Caleb on Twitter HERE. Stone Sports Management LLC congratulates Mason Trafford and Miami FC for clinching the 2017 NASL Spring Season Championship after the team’s dominant performance in its 7-0 win against the 2nd place San Francisco Deltas in front of its home crowd at Riccardo Silva Stadium. The Spring Season Championship meant a great deal to the Miami squad who finished last during the 2016 Spring Season in its expansion season. With a full pre-season with its core players in place, Miami FC led the NASL in Offense (33 Goals) and Defense (11 Goals Against) which established a 10 point lead over the Deltas heading into the Fall Season. "I could not be more happier for Mason to lift the NASL Spring season championship after accomplishing the fall title with Ottawa in 2015," reflected SSM's President and USSF Licensed Intermediary Justin B. Stone. "Mason has been Head Coach Nesta's 1st choice in Miami FC's central defense pairing since last year and can tell it means a lot to Mason and the club to lead the league in cleansheets and goals against. I know they only see the Spring title as one goal for the season and look forward to seeing how they can progress in US Open Cup play and continue their form within NASL." A big reason for Miami’s spring success is Mason Trafford's play. The veteran Central Defender defender is among the league leaders in passes (960) and passing accuracy (92.0%) while helping the team post a league leading 7 cleansheets out of 16 games played in league play. After leading the team in minutes in 2016, Trafford continued to be one of the minutes leaders, as he started 14 of the 16 total games and logged 1269 minutes. Mason's play earned him Team of the Week Honors three times in Week 6, Week 11 and Week 13. In addition to being one of the best left sided Central Defenders in NASL, Trafford stood out against MLS competition in Miami FC's US Open Cup wins against Orlando City and Atlanta United. The team's Round of 8 matchup against FC Cincinnati was postponed to August 2nd. "I am honored to be part of this team and extremely proud of our achievements in the NASL and US Open Cup," reflected Mason Trafford. "Miami FC as an organziation and the players have grown together since our first year, and our performances to date and this championsihp are great rewards for these efforts." 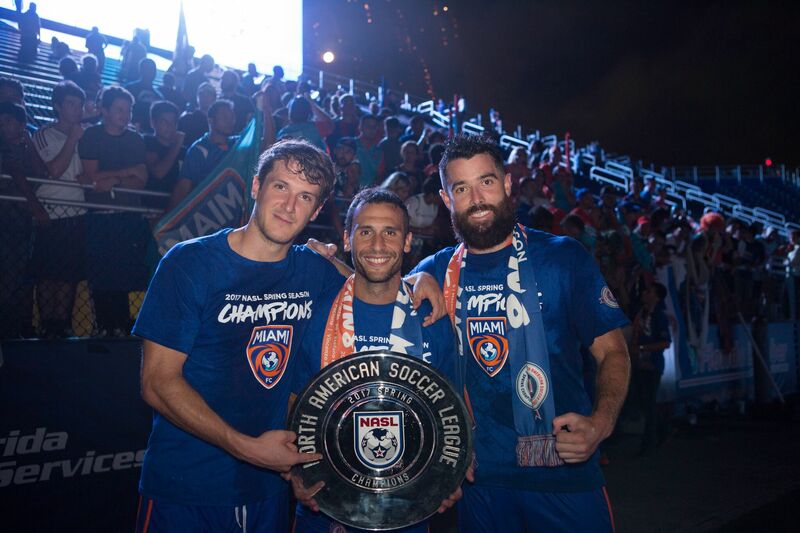 Even though Miami FC secured a place in the NASL's Playoffs, the club is focused on the #1 seed and also winning the NASL Fall championship. They will take a mid-season break before returning to league play for the Fall season opener on July 29th against the New York Cosmos. SSM wishes Mason and Miami the best of luck during the Fall season. View Championship clinching highlights against San Francisco HERE. Follow Mason Trafford on Twitter HERE. Roland Alberg made an immediate impact coming on as a substatitue with the Philadelphia Union leading 2-0 against the New England Revolution at Talen Energy Stadium. On his first touch, Alberg sized up the Revs GK Cody Cropper and hit a Golaso volley in the top corner for his 3rd Goal of the season. ESPN's SportsCenter took notice and made it the #3 play on its flagship program. Watch the goal below (at 1:52 mark) as well as Roland Alberg's Philadelphia Union career goals and stay tuned for from Roland as the MLS season continues! 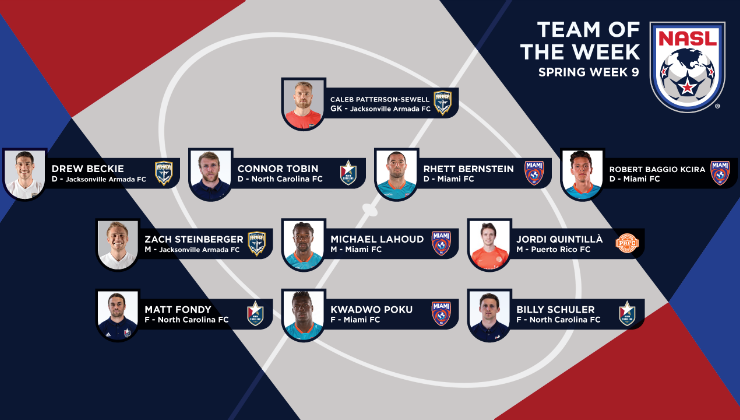 Stone Sports Management would like to congratulate Miami FC defender Mason Trafford on his NASL Team of the Week (Spring Week 13) selection. Mason completed 93.8 percent of his passes in Miami FC’s 4-0 Miami win against 3rd place Jacksonville Armada. He also made several important clearances and a pair of interceptions helping keep Miami FC’s 6th clean sheet of the season. Mason not only had a great match against Jacksonville but showed his MLS quality against Orlando City in last Wednesday’s US Open Cup game,whiich marked the first time these two Florida clubs played each other. Mason logged 90 minutes and an 88.5 percent passing completion in a 3-1 Miami win in front of 5,838 fans at Orlando City Stadium. This match carried an electric atmosphere as the game was looked at as an inner-state matchup. 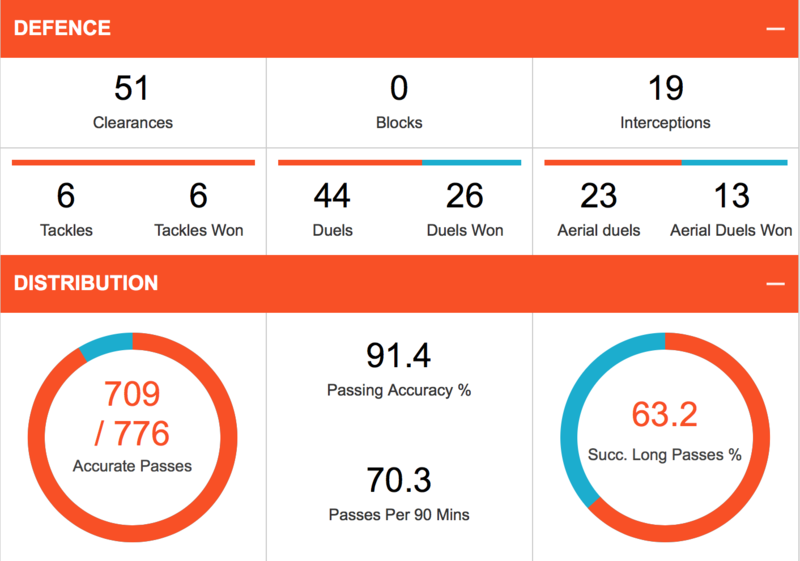 Check out Mason’s passing statistics from the match below. 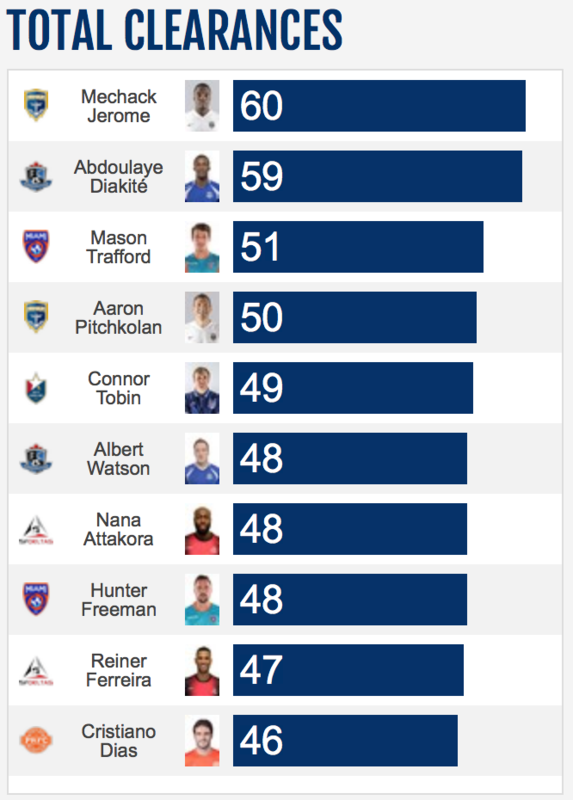 Mason is proving to be one of the NASL’s best central defenders this season. His 91.4 percent season passing accuracy in 994 minutes is a big reason why Miami boasts an 8-3-1 record. 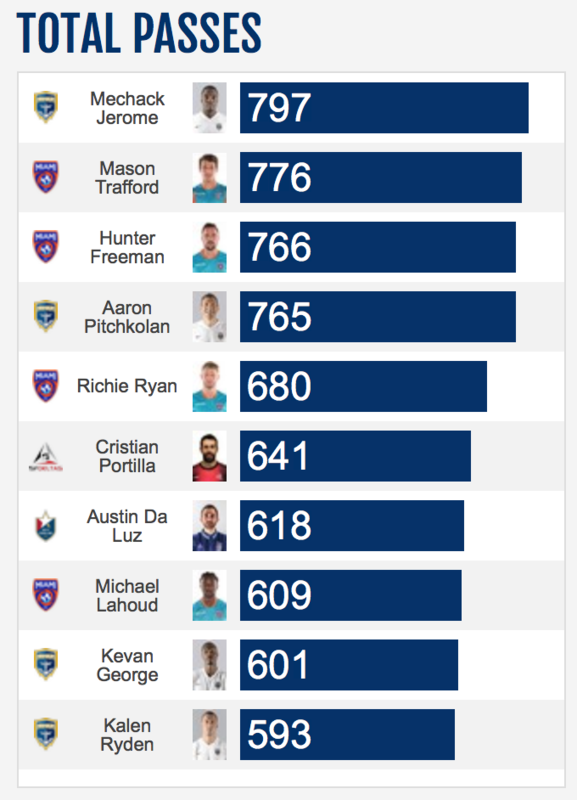 After leading NASL in total passes[JS1] [GW2] in 2016, the 30-year-old veteran is currently in second place this season with 776 total passes and third in clearances (51). His totals surely would be greater had he not been sat out the previous league game against FC Edmonton in advance of the big US Open Cup match. 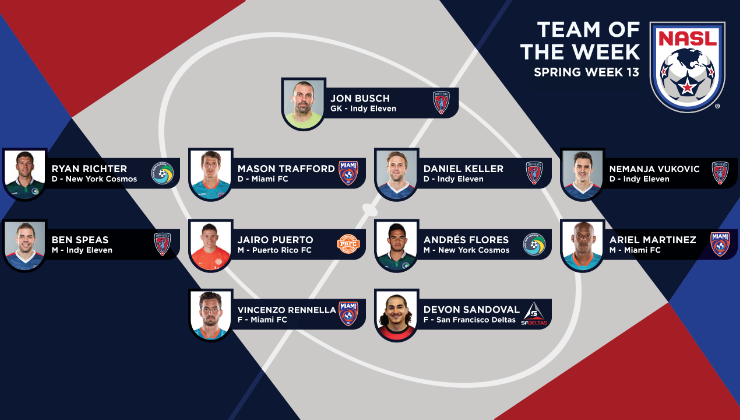 Head Coach Alessandro Nesta’s management worked out perfectly as evidenced by the week’s two wins and Mason’s strong performances, including the Team of the Week Honor. SSM wishes Mason well on his quest to bring home Miami FC's first champoinship as the club looks to cloe the Spring season in first place as well as their upcoming US Open Cup match against Atlanta United on June 28th. Check out Mason on Twitter here. Stone Sports Management congratulates Montreal Impact Captain Patrice Bernier on his return to the Canadian National Team. Canada's new Head Coach Octavio Zambrano called in the Broussard, Quebec native after a 2-year absence to lead his first starting line-up today against Curacao in a Gold Cup preparation match. The match has extra meaning to Bernier as he plays in front of his hometown fans at Stade Saputo in Montreal. The 37-year-old veteran is having a revitalized season so far in MLS and in the Canadian Championship consistently playing at a high level and one of the top players on the Impact each game. Bernier has logged 844 minutes between 9 starts and 3 substitue appearances, leading the team in assists (4) and to the Canadian Championship final against rival Toronto FC. Bernier is no stranger to the Canadian National Team having earned 53 caps (38 starts and 2 Goals). He made his debut for Canada November 15, 2003 and represented the country in both the 2004 CONCACAF and the FIFA 2006 World Cup Qualifiers. He logged a career high 14 consecutive matches for Canada between 2004 and 2006. In 2009, Patrice appeared in the 2009 CONCACAF Gold Cup but missed the event in 2011 due to injury. The 5’ 9” Midfielder returned stronger than ever in 2014 after his 2013 MLS All-Star appearance helping Canada in the 2014 FIFA World Cup Qualifiers. He last put on the Canadian jerseyon January 19 2015 against Iceland. Click HERE to watch Bernier's pre-match press conference and HERE for his interview discussing his latest Canadian National Team role. 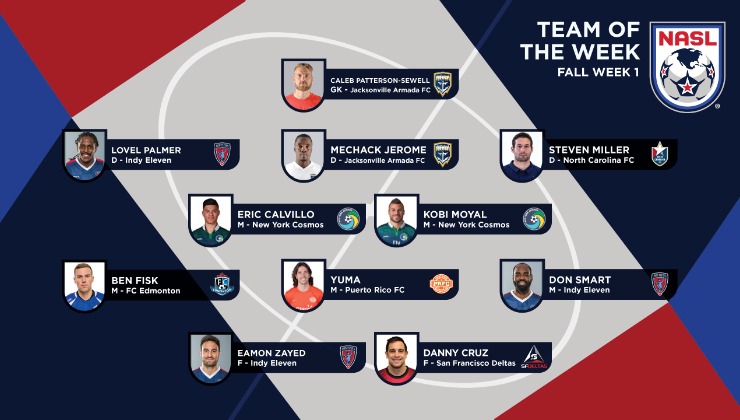 Stone Sports Management would like to congratulate to Jacksonville Armada’s Caleb Patterson-Sewell for earning NASL’s Team of the Week honors for Spring Week 9. Caleb played a fantastic game against the San Francisco Deltas making three saves in a 3-0 win. Click HERE to see game highlights and watch below. Caleb, who signed a multiyear deal with Jacksonville in February, has been impsressive since returning to the NASL and has started all 9 games for the Armada. The 30-year-old goalkeeper ranks 1st in NASL in Cleansheets, Goals Against and Minutes played as well as a 73.3 percent save-to-shot ratio. This is Caleb's second Team of the Week after being selected in Week 4. Check out Caleb’s 2017 highlights below and make sure to follow Caleb on Twitter HERE. 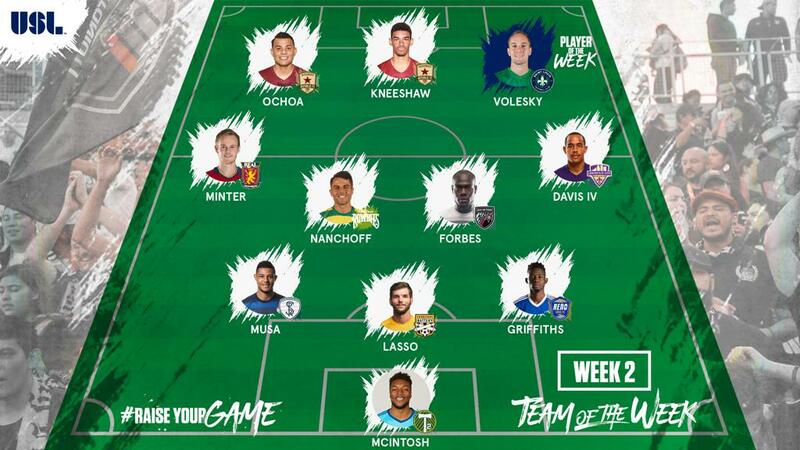 Stone Sports Management congratulates Swope Park Rangers' Central Defender James Musa for making USL's Team of the Week (2) on his Swope Park debut. 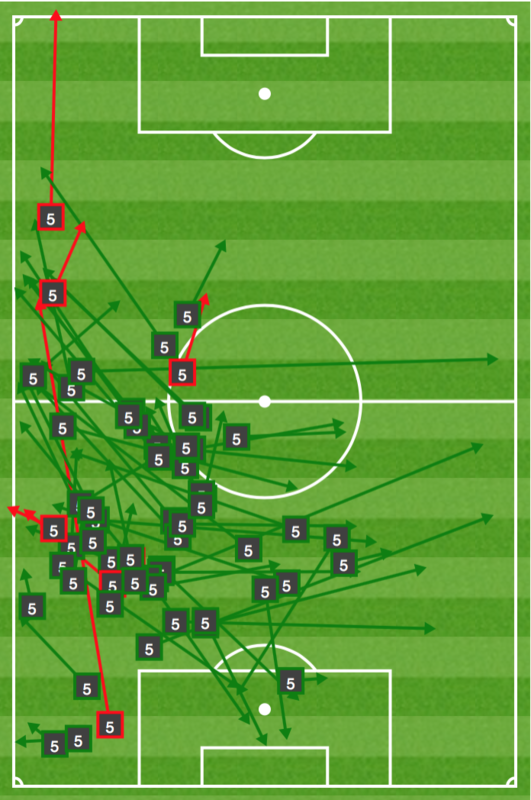 Key stats highlighted in the club's 1-0 win against Portland Timbers II were 8 clearances and 4 interceptions. Administrative errors prevented Musa from making his debut in Week 1, so this honor reflects well on Musa's patience and impact in his debut.